Maisara Abu Hamdiyeh, 64, died at Soroka hospital of Beersheva of terminal throat cancer. 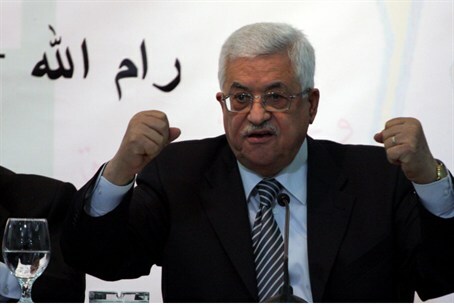 Palestinian Authority chairman Mahmoud Abbas blamed the government of Israel on Tuesday for the death of a terrorist prisoner who suffered from terminal cancer. "The Palestinian presidency holds the government of Netanyahu responsible for the martyrdom of prisoner Maisara Abu Hamdiyeh today in the prisons of the Israeli occupation," Abbas spokesman Nabil Abu Rudeina said in a statement. Earlier on Tuesday, Abu Hamdiyeh, 64, died at Soroka hospital in the southern Israeli city of Beersheva where he was suffering from terminal throat cancer, Israeli and Palestinian officials said. "Prisoner Maisara Abu Hamdyieh died today. He had cancer," Qadura Fares, head of the Ramallah-based Prisoners Club, told AFP, accusing Israel of responsibility due to its "refusal to release him for treatment." The Palestine Liberation Organisation too lashed out at Israel, accusing the Jewish state of a "premeditated crime against humanity" and warning that more terminally ill prisoners could die. "We are still looking at a grave situation with the hunger-striking prisoners and dozens of cases of long-term illnesses in need of treatment," it said. "The world should move quickly in light of the deterioration of their health." Abu Hamdiyeh, who was arrested in 2002 and sentenced to life in jail, began complaining of throat problems about nine months ago and was subsequently diagnosed with cancer of the esophagus. The Israel Prisons Service confirmed his death, adding that a process for his early release had been under way in the light of his deteriorating health. According to Maariv, Arab terrorist prisoners at the Ketziot, Nafcha, Ramon and Eshel prisons have been rioting since news of Abu Hamdiyeh's death was received. They have been banging on the doors of their cells and throwing objects at the guards. Abu Hamdiyeh was convicted of membership in Hamas and of organizing a botched suicide attack at the Kafit coffee shop in Jerusalem. A terrorist attempted to blow himself up among some 50 people at the coffee shop but miraculously, the explosive charged failed to detonate.